Another option is to compare groups of results described in this article. Just click on Compare button near the list of groups to get the comparison. Comparing groups of streams and files. pie charts for each metric. 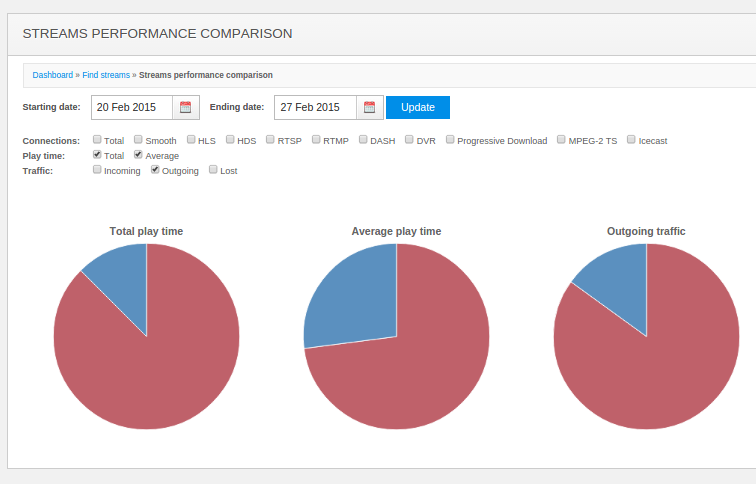 Files and streams comparison results. You may select different metrics to compare and get new charts right away. Switching between metrics to compare. 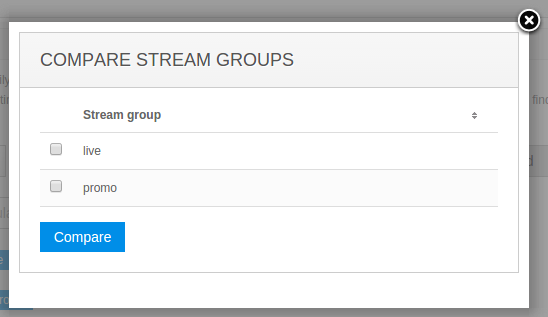 Pointing your to each pie shares, you will see numbers and percentile of each metric per file or stream. Also, WMSPanel provides the API for accessing available data for further interpretation within third-party analysis tools. New In-depth statistics metrics are coming soon, so follow our blog or social media (Facebook TwitterGoogle+) to get updates.